Nintendo has announced the launch date and price of the Nintendo Switch at an event in Tokyo; the company’s next console will be released worldwide on March 3 for $300 in the US and comparable amounts elsewhere. The company also confirmed many things hitherto only rumored about the console: a capacitive screen, motion controls, a new Splatoon and Mario, and more. Yes, and for those of you came here for the Zelda release date, I’m just going to put it up top, even though it was literally the last thing they announced. 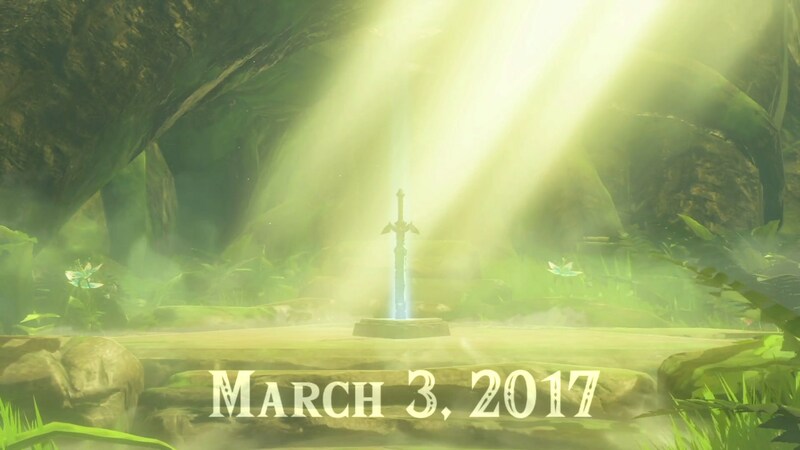 Zelda: Breath of the Wild will be available at launch. Watch the new trailer; this game looks completely off the chain. Now for the details, which came out almost too fast to register in the first 15 minutes of the presentation. The screen is a capacitive 6.2″ 1280×720 touchscreen, settling one of the major points gamers were nervous about. A touchscreen opens up endless gameplay possibilities, not to mention allowing DS and Wii U games to be ported or emulated. The console comes with 32 GB of space inside, but you can also slot in a Micro SD card, something that many gamers will appreciate. There are also USB ports on the base, which may function as further storage or charging options. Battery life depends on the game, but may be as short as 2.5 hours or as long as 6.5 hours. With Zelda, for example, it’s “roughly 3 hours.” You can play while charging, of course; it hooks up via a USB Type-C connector in the dock or a cable. The Joy-Cons have a screenshot button and shoulder buttons, and also include motion sensors like Wii remotes. There’s also a little camera in the front that can tell the difference between certain gestures, or tell distance. Inside each Joy-con is also a moving rumble unit that can vibrate different bits of the controller. They’ll also come in neon red and blue if you’re not into the whole monochrome thing. There are wrist straps included that add a bit of grip and make the shoulder buttons more prominent. A replacement or extra pair will cost $80, or you can replace one at a time for $50 each. A new online service will also be launched that will start free but incur a monthly cost beginning in the fall. It will be necessary for online play with “most games,” and as a bonus users will get temporary access to a selected NES or SNES game with added online multiplayer every month. 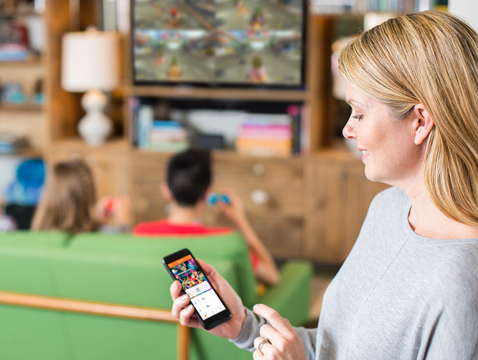 A smartphone app will handle the social aspect of the games: chat, invitations, parental controls, and so on. You’ll need to pay the monthly fee for full access to this app. In a rather unexpected development, the Switch will not implement a region lock that prevents games from, for example, Japan, from running on U.S. consoles. Pre-orders begin in Japan on January 21. No word on U.S. orders other than the limited ones available in person. For the Wii and Wii U, Nintendo included a sort of “tutorial” game — Wii Sports and Nintendoland — to introduce unfamiliar players to the controller and capabilities. In this case, “1-2 Switch” appears to be the intro: a set of minigames relying on just the controllers, with the screen acting more as moderator than game world. Another game called Arms, using both controllers as spring-loaded boxing gloves, looks to be a major title for Joy-Con motion multiplayer, coming in the spring. 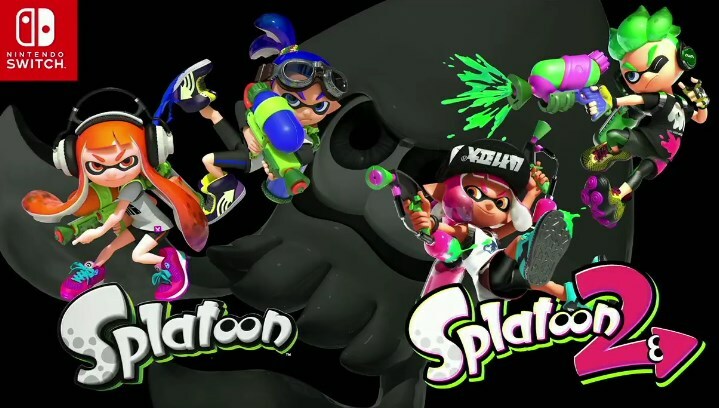 Very welcome to many, many Wii U players is the announcement of Splatoon 2, the sequel to the hit multiplayer game. New modes, new maps, new ink shooters, etc. This was expected but fans will be hyped to see it confirmed. It’ll be out this summer. Super Mario Odyssey! He’s in a city, he’s in a weird desert, he’s in a forest. This too was more or less known, but this is the first anyone has seen it in motion. Mario can now throw his hat like a boomerang and ride something that looks like Battle Cat. It’s a journey to an unknown world — the first sandbox-type Mario since Mario 64 and Sunshine, it’s noted. It’ll be out in the holiday season. Next is the JRPG section of the showcase. A Xenoblade-style RPG from Monolith Soft – Xenoblade Chronicles 2. The original was hugely popular on the Wii U. And what’s this? Fire Emblem: Warriors? Yes, please. 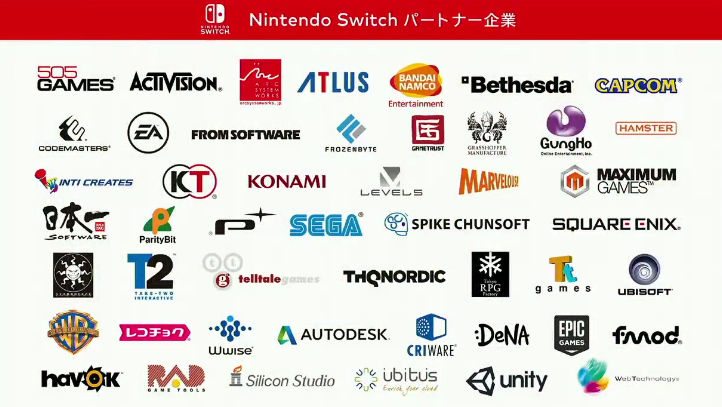 Dragon Quest X and XI, as well as a new Shin Megami Tensei game (not Persona 5, alas), are coming to the Switch as well. Square Enix has a hot-looking pixel art title called Project Octopath Traveler, in the running for weirdest working title of all time (tied with Death Stranding). Want to try them out? Many of these games will be playable at public events that will be held around the world over the next few months, and 6 cities (including New York) will have them on display in the next couple weeks. Check out HD videos and pictures of the games and controllers at Nintendo’s just-launched Switch site.